Recently I’ve been researching the student loan system and how things work in non-U.S. based medical schools. Unbelievably there are three dozen island medical schools. That’s a crazy high number, just how many islands are there in the Caribbean anyway? Federal student loan aid is generally not available for these schools. Although they are technically “accredited”, the accreditation itself is something unusual at best and regulated by the Islands themselves in large part. And while the Department of Education recognizes ACCM (Accreditation Commission on Colleges of Medicine), many individual states do not. So it’s a bit of buyer beware, there are success stories for those committing to the hard work to pass the various U.S. tests and are willing to limit their practice, internships, residencies and rotations to certain states, but there are also stories of high student loan debt with little to show for it. So where does the bankruptcy relief come in? Well for one, private student loans may be dischargeable in bankruptcy when the debt incurred is not for a qualified educational loan and/or an ineligible institution. In a recent case, In re Decena, 549 B.R. 11 (Bankr. E.D. N.Y. 2016), debts owed on private loans, to attend a “for-profit” university, not accredited by the United States fell within the exception to discharge of § 523(a)(8). We are looking to expand this ruling to Florida in a case we are planning on filing next month. Second, any debt that exceeded the cost of attendance (tuition plus room and board) may be dischargeable even if federal funds were used. And third, federal funding used as a conduit to attend an ineligible Caribbean medical school may also be dischargeable under a Decena analysis of § 523(a)(8). 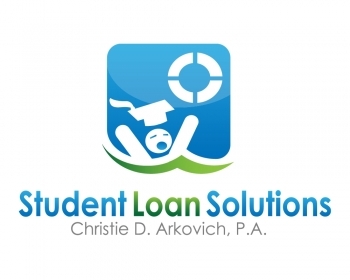 So if anyone out there in the western or central Florida areas would like to learn more about potential dischargeability of student loans used to attend a Caribbean medical school, please contact us at Christie D. Arkovich, P.A. Thanks for reading our blog and feel free to pass this along to your friends who may benefit!